Kat Dy Finds: Renegade Folk On Sale! Got a message in my inbox this morning announcing a Renegade Folk closing out sale on their Multiply site. While I'm sad that this excellent Filipino shoe brand is leaving the retail scene, I'm ecstatic about the opportunity to grab their pieces for a steal. 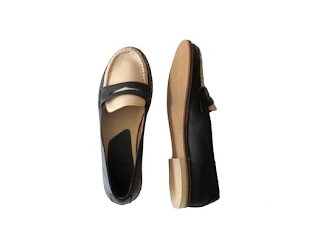 Now's your chance to purchase well-crafted, Philippine-made and chic shoes at affordable prices of P499, P999, and P1,499. In my shoe feature on Manila Fashion Observer's Shoe Series, I mentioned that my beloved wear-with-anything beige lace-up sandals from Tonic (another great Pinoy shoe brand) have already been patched up so many times (that's how much I wear them to death!) that they need to be replaced soon. I've been eyeing a pair of RF sandals that I spotted in Tint, Greenbelt a couple of months ago, and lucky me, they were on sale for P999 (from P1,750)! They're made of real leather, which means they'll age beautifully, and will last long. 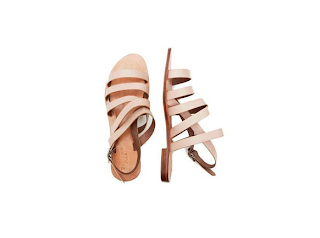 British Summertime strappy sandals in light blush pink. Only P999, form P1,750. I also purchased these preppy-ish tasseled loafers, also for P999 (from P2,700), which I am predicting will see a lot of travel time. Also made of real leather. So for the price, it's quite a steal! Driving leather loafers with tassles in dark blue/tan. Only P999, from P2,700. Here are some other things I had my eye on, but unfortunately didn't have my size anymore. 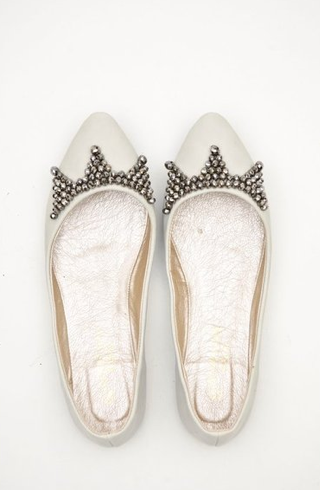 Superstar studded flats in gray. 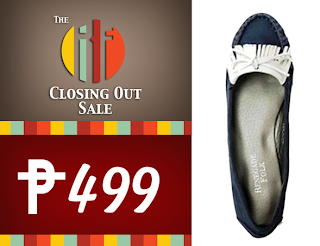 Now only P499 from P1,450. 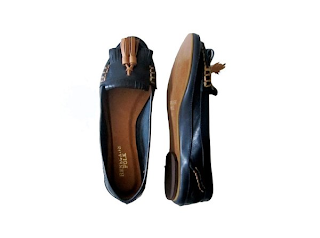 The Lucky One real leather loafers in black/beige. Now only P499 from P2,400. 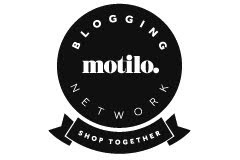 Hurry and click on over to their Multiply site. If my guess is correct, they'll be running out of sizes in a flash.